If you’re a family caregiver for an elderly loved one, it’s important to be familiar with the potential risk factors for conditions affecting seniors such as Alzheimer’s disease. While the causes of AD are unknown, research has shown a correlation between certain lifestyle factors and the development of the condition. 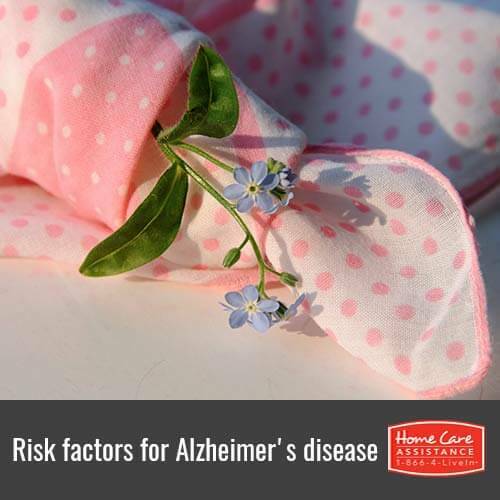 The Grand Strand senior care providers can explain five risk factors that can influence the onset of Alzheimer’s. While scientists are not yet sure why, Alzheimer’s disease primarily affects women. As a result, it’s important for family caregivers to be particularly attentive to changes in the behavior of elderly female relatives. Though some seniors are naturally less social, it’s important for even introverted seniors to take time to socialize with friends and family. Since being social can also offer other benefits, like cognitive stimulation and positive feelings of belonging and contentment, socializing can be a good activity for all seniors to stave off Alzheimer’s. Recent research suggests that family history is a big factor in determining a senior’s chances of developing Alzheimer’s disease. If your elderly loved one has a genetic history of Alzheimer’s, it is important for you and your loved one’s in-home caregiver to watch for symptoms of cognitive decline and memory loss. If your loved one is diagnosed with AD, he or she may benefit from The Grand Strand Alzheimer’s home care. Severe head injuries, including concussions and other types of head trauma, are also a risk factor for Alzheimer’s disease. While your elderly loved one may have only had this type of injury many years ago, if you know that he or she has experienced a concussion, be sure to share that information with his or her physician. As with many diseases and conditions affecting the elderly, leading a stagnant lifestyle can increase the chances of Alzheimer’s disease. To help your elderly loved one reduce his or her risk of this memory condition, encourage him or her to be as active as possible. Little things like a short walk once a day can make a big difference in your loved one’s physical condition. If your loved one has been diagnosed with Alzheimer’s or has a chronic illness, Home Care Assistance of The Grand Strand can help. 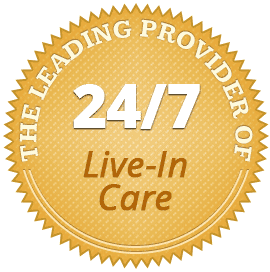 Our caregivers specialize in comprehensive Alzheimer’s, dementia, Parkinson’s, and stroke care in The Grand Strand and can provide customized care on an as-needed basis. Learn more about our specialized home care for seniors today when you call us at (843) 353-3105 and schedule a free consultation.